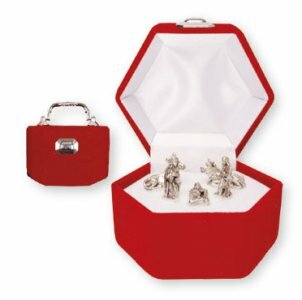 DIVINE CHRISTIAN GIFTS - Miniature Nativity in a Red Velvet Box. Miniature Nativity in a Red Velvet Box. Red velvet metal nativity 5 figures a good Christmas stocking filler.